Patients with diabetes experienced significantly impeded immune function. For this reason, even the simplest scratch can cause significant, lingering pain. For patients with diabetes, a mild case of gum disease can be difficult to recover from. This increases diabetic patients’ risk to experience advanced gum disease, which is the leading cause of tooth loss. If you suffer from diabetes, let your dentist know right away. Your dentist can cater your preventive dentistry routine to minimize the potentially damaging oral bacteria to avoid gum disease and maintain optimal oral health. Changes in hormone levels for men and women have been associated with poor oral health and increased risk for tooth loss. When hormones are not balanced, patients’ oral health can decline even with effective oral hygiene. For this reason, your dental team will want to help you take special care of your smile, during times of fluctuation in your hormonal balance. Patients who suffer from osteoporosis often take antiresorptive agents to help slow the loss of bone density and start fortifying their healthy bone tissues. Unfortunately, these medications can have negative effects on the jawbone, leading to an oral health concern called osteonecrosis. 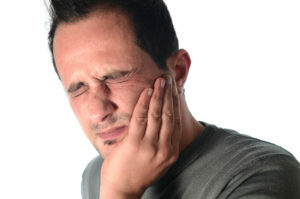 This oral health condition may lead to jaw pain, swelling, changes in the function of the jaw, numbness, and tooth loss. If you’re suffering with osteoporosis, let your dentist know right away, so we can monitor changes in your oral health and function and take action right away if we notice signs of osteonecrosis. Your skilled Los Angeles dentist, Adam Geach, DMD, MD, is dedicated to helping patients maintain the optimal level of oral and whole body health. With a patient-centered dental practice philosophy, Dr. Geach is your partner in achieving and maintaining complete health for life. At Geach Dental, we will work with you to create a customized preventive dentistry plan to help you avoid health concerns. However, for those patients who do experience tooth loss for any reason, we can repair your smile with implant supported tooth replacements as well as traditional bridges, partials, and full dentures. Give our team a call to find out more or schedule an appointment with us.